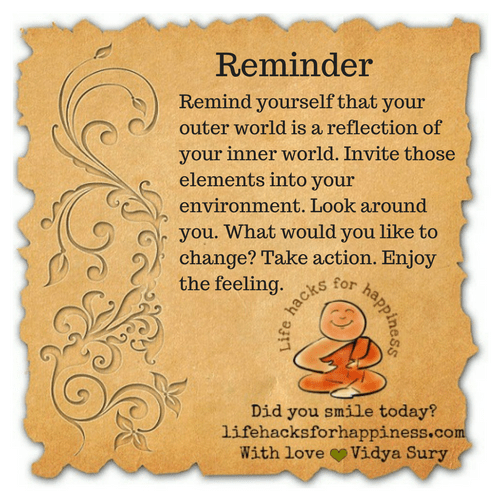 Remind yourself that your outer world is a reflection of your inner world. Invite those elements into your environment. Look around you. What would you like to change? Take action. Enjoy the feeling.